If you want to see the Choir stop singing when you walk in, you need to start wearing dress shirts by Steven Land. Made of All Cotton and nothing but Cotton, Steven Land shirts are what the well dressed man wears. 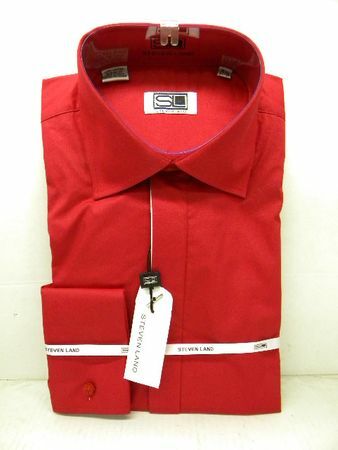 This Pure Red Steven Land Dress Shirt features a Spread Collar to Show off Your Big Knot Tie, Hidden Buttons and French cuffs. Don't forget to get yourself a Steven Land Big Knot Ties. It's style you can't ignore. See More Steven Land Shirts Here.